Restore Troubled Teens (RTT) is an organization of family advocates and educational consultants dedicated to helping parents of troubled teens find the most suitable Residential Treatment Center; for their struggling adolescent. We recognize that finding a trustworthy Treatment Facility can be a significant trial. The object for RTT is to direct the parent, as efficiently as possible, to the appropriate place that will accommodate their child and assist with the task of getting the troubled teen's life back on track. RTT acknowledges this reality, and this is why we urge parents to examine the benefits and risks. Working with our family advocates, who have extensive experience and specialized expertise, will save any parent time, money, and all too often, much heartache. Although the best Residential Treatment Program may be located outside your local area, most facilities accept teenagers from all over the U.S.
For immediate help, contact our family advocates at (866) 452-6321. Like many other parents in crisis, you may be looking for a substance abuse treatment center for your adolescent child. If this is the case, you can feel encouraged that Restore Troubled Teens is an established website maintaining personal affiliations with drug rehab programs and treatment centers all over the country. We are proud to say that RTT maintains continued success in the service of transforming and developing the lives of hundreds of teens in crisis. Bringing peace of mind to parents and the family, through the restorative process, is what our family advocates do. Let us do our job by recommending a "home away from home" that not only gives care around-the-clock, but also provides individual therapy and quality academics to stuggling teens. Let us help you find a program; thus ensuring that your child will benefit from a greater future as a result of their experience with the appropriate residential treatment center for them. As you are contemplating Treatment Centers, it is essential to ensure, for your child's sake, that the curriculum you choose provides not only substance abuse therapy for adolescents, but also quality academics. Your son or daughter can overcome a momentary setback with the direction of qualified teachers, therapists, and trained counselors. We appreciate the disappointment and grief your family is experiencing, and the intense love and concern you have for your child. Allow us help your family get back on track. Call Restore Troubled Teens today at (866) 452-6321. Therapy for both the child and the family is essential when dealing with behavioral and emotional problems. Brat camps for troubled children are not effective for long-term results in change of troubled teens behavior. 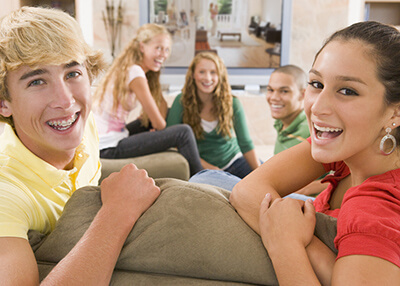 Choosing the right care for your teen is critical and C.A.R.E. is here to help. The typical parents of the Abundant Life Preparatory troubled teen are believers who love Jesus with all their hearts. C.A.R.E. is dedicated to making sure that troubled teens who are in need of treatment, get the message. C.A.R.E. provides programs for the most common problems that troubled teens face, today. C.A.R.E. strives to provide a solid foundation for troubled teens, but, their are pros and cons of residential treatment centers. Mental Health and Healing: What Is Psychoanalytic Psychotherapy and Can It Help My Teen? Autism and Music: Can Music Therapy Speak to Your Autistic Teen?